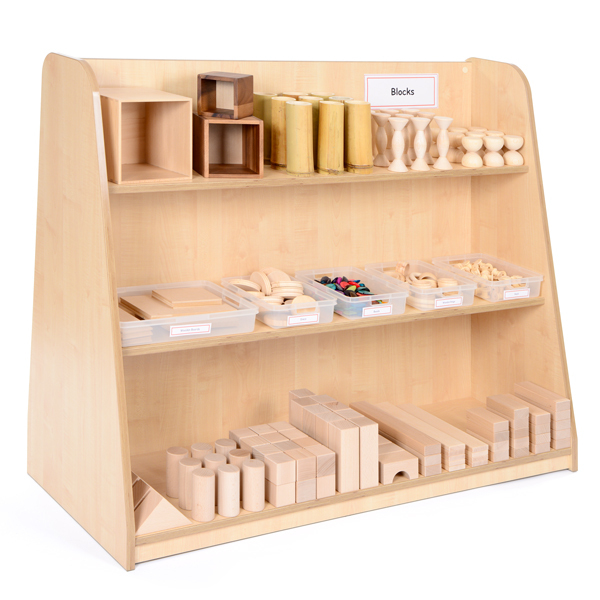 Through their natural desire to explore objects, children soon become confident in handling blocks, placing and combining them in many different ways. Blocks inspire young children to be adventurous, imaginative and creative – critical behaviours for effective learning. 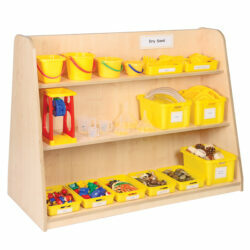 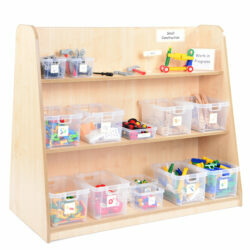 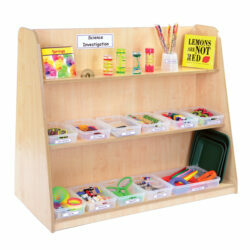 High level furniture unit includes a Velcro Display Board back.